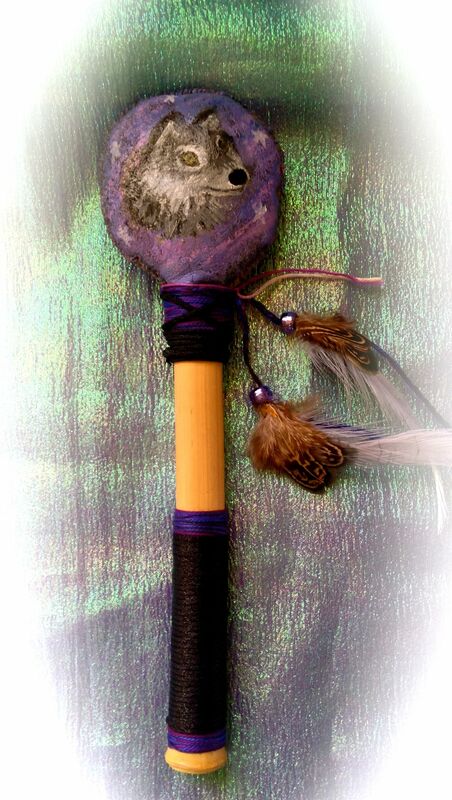 This Native American inspired handmade ceremonial rattle is made from rawhide and bamboo , filled with dried corn kernels to give it a beautiful voice. 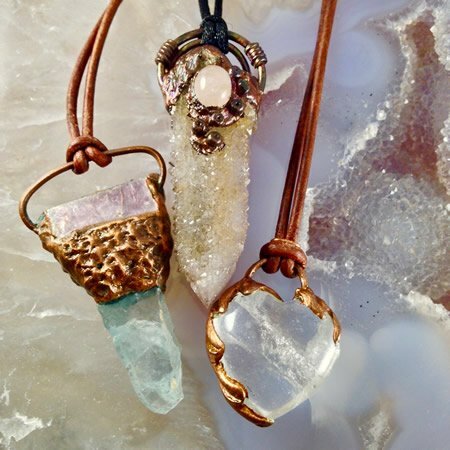 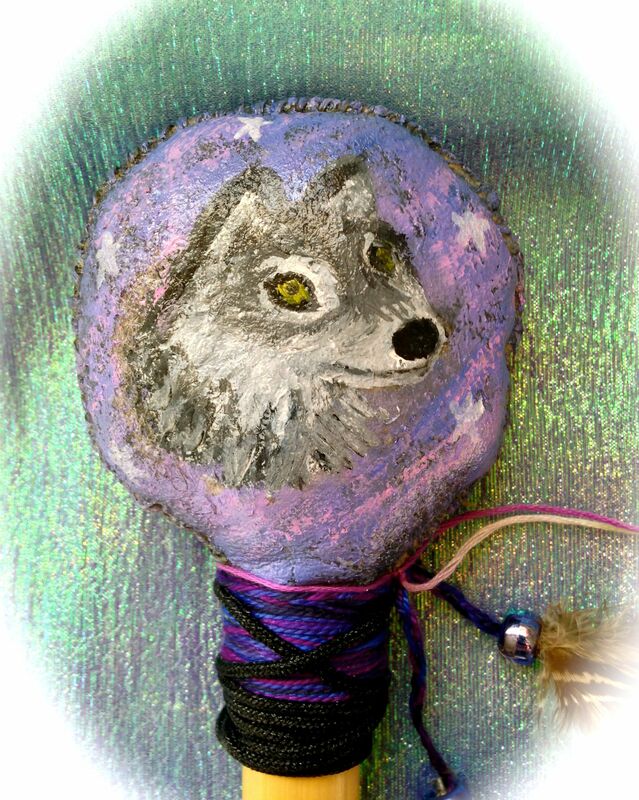 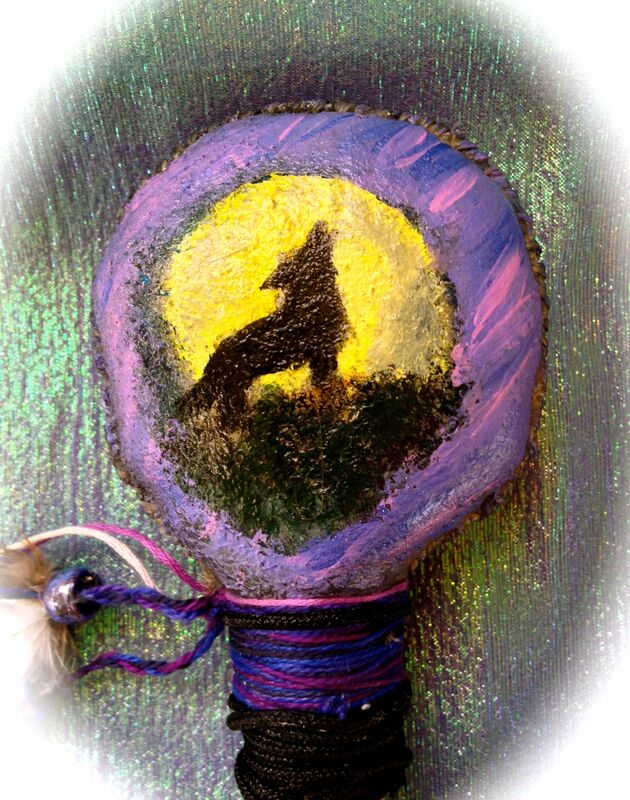 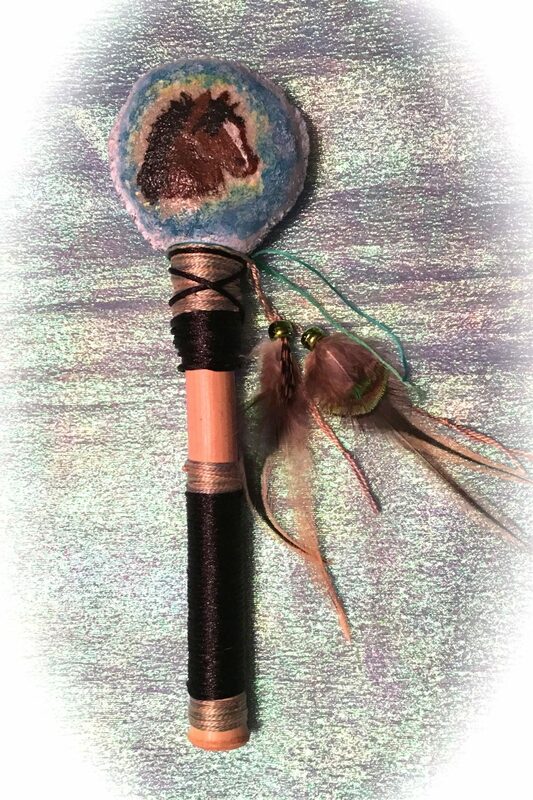 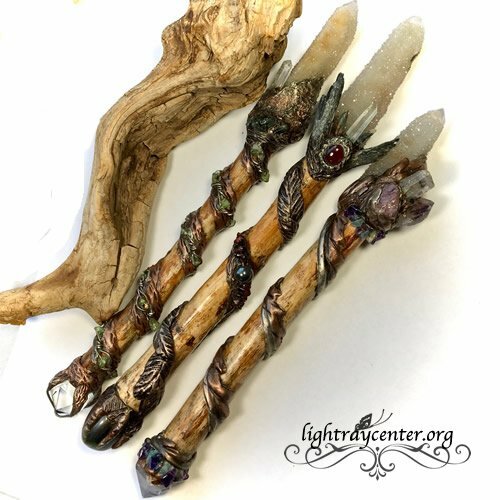 It doubles as a single note whistle in the key of A. Adorned with satin ties and feathers, it features a wolf in the northern plains with the aurora borealis in the sky. 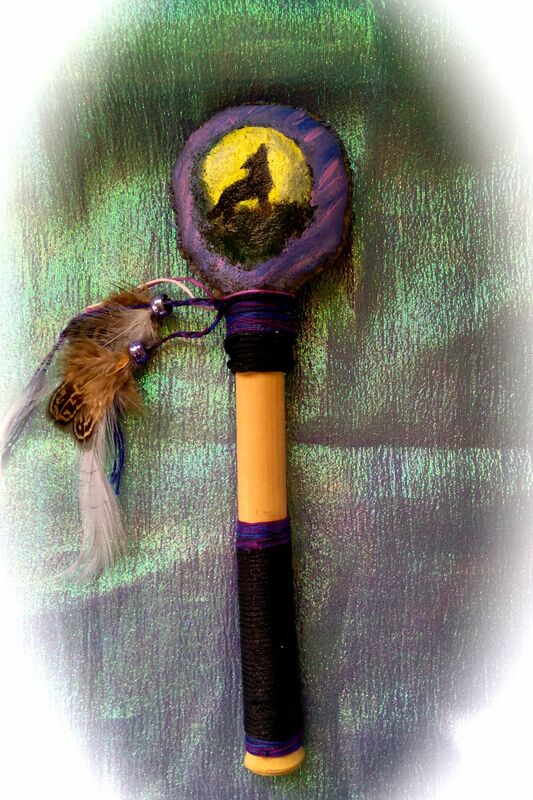 The back is a wolf howling at the moon.